Adjoining the monastery is a small Retreat House with eleven private rooms each with a private bath, linens are provided. There are two retreats per week: Monday afternoon to Friday morning or Friday afternoon to Sunday afternoon. 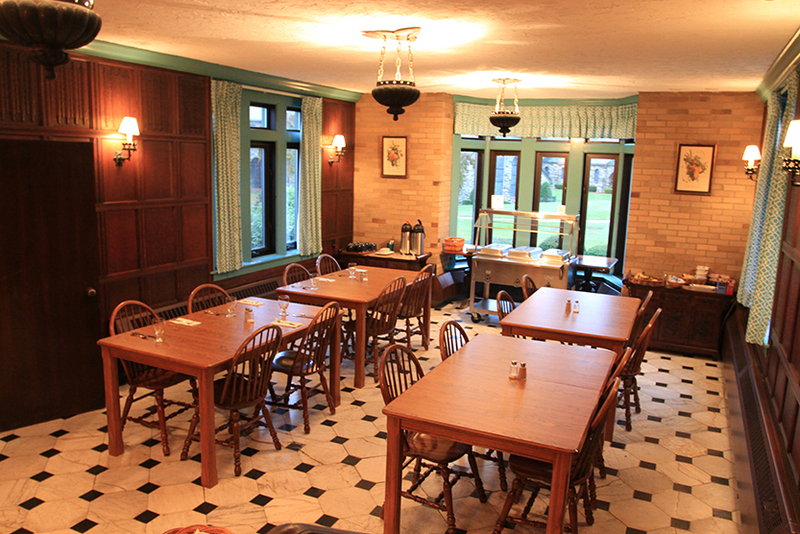 The retreat house closely conforms to the atmosphere of the monastery. The celebration of Mass and the Liturgy of the Hours frame the structure for each day with a generous amount of time also set aside for private prayer, reading and contemplative quiet. Conferences are given by one of the monks on Tuesday, Wednesday and Thursday for weekday retreats and on Saturday and Sunday for the weekend retreat, with time available for private conversation with him or the Sacrament of Reconciliation. Guests are welcome to join the monastic community for the Liturgy of the Hours and for Mass in the Abbey Church beginning with Vigils at 3:30 am, Lauds (morning prayer) followed by Mass at 6:00 am on weekdays and 6:40 am on weekends. None (mid-afternoon prayer) is celebrated at 2:00 pm, Vespers (evening prayer) at 5:40 pm and Compline (night prayer) at 7:40 pm. Retreatants attend Lauds, Mass and Vespers in the church in a section reserved for them. A psalm book is provided for the hours of Lauds and Vespers. Retreatants attend the other hours from side chapels located at the entrance of the church. Reservations can be made online or by phone: 508-885-8710. Retreat reservations can be made up to six months in advance but not beyond. You don’t have to wait six months for a retreat since we often have openings for upcoming retreats. A second retreat may be made in the same calendar year but with a six month interval between them. If you have any questions please don’t hesitate to contact the Guest master. 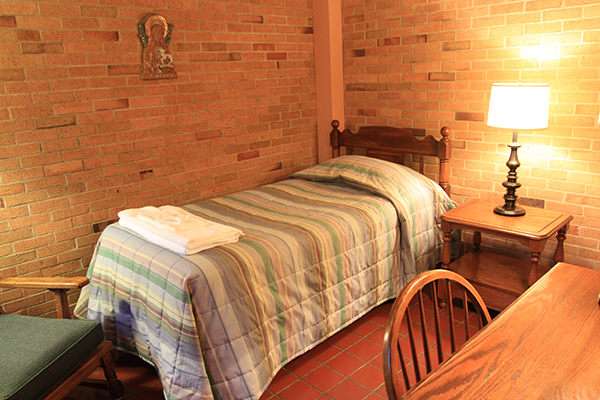 A private room and bath is provided for each retreatant.